Fortunately for us, the good people at Oban are not reality show actors, but some fine folks who have developed a fine whisky. The distillery is described by MJ’s guide to single malt scotch as a small town with a small distillery. MJ’s guide makes reference to Oban not being (previously) taken serious in comparison with the other powerful highland signatures. 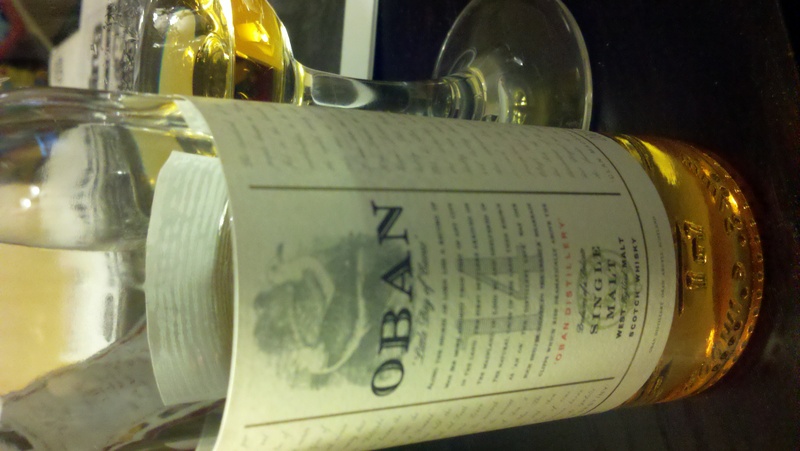 The Oban 14 is aimed at changing that suggestion. It noses light, but pleasant. There are notes of seaweed and references to the sea in MJ’s book on this product and I really cannot add to it, except to say I haven’t eaten or smelled seaweed lately. I do find the nose delicate and pleasant. In tasting it, which I do after a generous nosing that on this one made my mouth water, the whisky delivers a quick flash of excitement that quickly goes away clean. Tastes are light, but I do note some citrus, maybe a bit of a grapefruit, there is no complexity or bitters but a very nice and clean whisk of liquid. It is almost like sitting on the beach, watching an energetic burst of tide come and go. Who doesn’t like that? I was smoking a Gurkha Regent Torpedo with it, not because I thought it was a great pairing, but because I was tired from doing home projects for two days. I did feel that the two worked nicely with each other and would not hesitate to recommend the two together. This whisky would be great with lighter foods, seafoods, and would be great just enjoyed by itself. I really liked this whisky, and now that summer is coming I was hoping for some refreshing new tastes from Scotland to enjoy. I think that I have definitely found one.